From new engineering innovations to employee milestones, learn more about AHA Consulting Engineers in our blog. 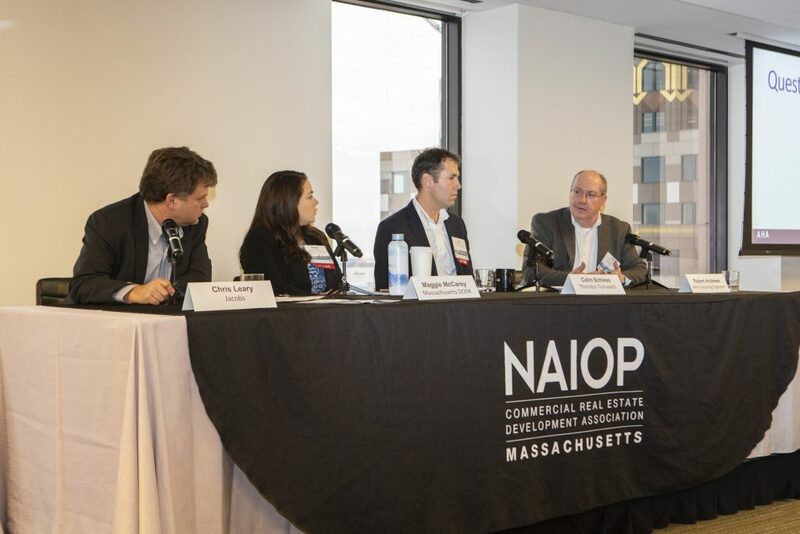 Bob Andrews served as a panelist during the NAIOP Massachusetts “Energy Efficiency & CRE: Ambitious New Goals, Codes and Technologies” event last week. The session provided an overview of how Massachusetts is leading the way in energy efficiency and what building owners and developers should be thinking about now as the energy landscape rapidly evolves. For AHA's News to be delivered to your inbox. AHA possesses the clear vision, decisive strategy, and capable organization to meet exacting client needs by quickly developing efficient design solutions within set budget parameters and under delivery schedules. COPYRIGHT 2018 AHA CONSULTING ENGINEERS. ALL RIGHTS RESERVED.